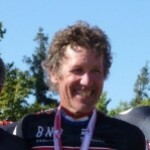 Favorite rides Clark began his coaching career at the end of his 1991 professional Cyclo cross season. A competitive cyclist since the age of 15, Clark spent over ten years competing at the Pro level. Clark represented the USA at 7 cyclo cross World Championships and 2 mountain bike World Championships. He earned a total of 10 National Championship medals (5G, 4S & 1B) before turning his attention to the development of other athletes.